Back in the middle of 2018, the shares of streaming music giant Spotify (NASDAQ:SPOT) were flying high near $200, and I couldn’t exactly figure out why. Up near $200, the valuation of Spotify stock seemed unreasonably stretched. At that level, SPOT stock didn’t account for the plethora of competitive headwinds the company would inevitably encounter down the road. That valuation of SPOT also overestimated its growth potential. That SPOT was also rapidly losing share to its chief rival Apple (NASDAQ:AAPL) Music, while its international expansion initiatives weren’t going smoothly, also made the valuation of Spotify stock unrealistic. Overall, it just seemed like there was way too much optimism surrounding Spotify stock, and that’s why I called the stock a bubble. From the middle of 2018 to the end of the year, Spotify stock was essentially cut in half, from $200 to $100. The decline of SPOT stock came as the company’s growth slowed and its margins didn’t improve as much as many investors would’ve hoped for, while many growth stocks in the market slumped. Now Spotify stock is rebounding. It is up more than 20% since Christmas Eve, as macro headwinds have turned into tailwinds, and contrarian investors have sniffed out an opportunity. This rally of SPOT stock has legs. Although I labeled Spotify stock a bubble back in mid-2018, that bubble has since popped. What remains is an undervalued and oversold stock with healthy and improving fundamentals that give Spotify stock a reasonable chance to double over the next several years. On the other hand, the things which I didn’t like about Spotify stock back in mid-2018 are still present today. SPOT’s competition is building. According to Apple management, Apple Music is the market-share leader in the critical U.S., Canada, and Japan markets. There are also Tencent Music (NYSE:TME), Sirius (NASDAQ:SIRI)-backed Pandora (NYSE:P), YouTube, SoundCloud, and many, many more, all of which offer very comparable services. There’s also no original content in the streaming-music market. Thus, there will be no Netflix (NASDAQ:NFLX) in this market that will create a huge moat using original content, and use that moat to not only dominate the market, but also raise prices. Instead, in the absence of original content, prices will be the ultimate driver of the streaming-music market. Because of that, Spotify doesn’t have much wiggle room to raise prices, and its gross margins won’t ever get that high. As a result, it needs user growth to boost its financials. But without original content, SPOT’s user growth could falter quickly in this highly competitive market. The thing about SPOT stock is that, despite those aforementioned fundamental risks, the company has continued to grow at a robust rate due to the widespread growth of the streaming-music market and Spotify’s ability to leverage technology and network effects, enabling it to remain a market leader. Last quarter, the company grew its total monthly active-user base by 28% year-over-year, while its premium-subscriber base jumped 40% and its revenues rose by just over 30%. Those figures are all roughly in-line with the growth rates that the company has posted for the past several quarters. In other words, despite rising competition, Spotify has continued to grow its revenues and subscriber base at a healthy, consistent 25%-plus rate. During this stretch, SPOT’s margins have also consistently improved. For most of last year, its gross margins were hovering substantially below 25%. For most of this year, its gross margins have been above 25%. As a result, SPOT came close to breaking even last quarter. Overall, then, Spotify stock is supported by solid growth fundamentals. In the long run, the streaming- music market will be huge, and current trends imply that it will be dominated by Spotify and Apple Music. As long as SPOT continues to leverage technology and network effects to stay on top of this market, then SPOT stock should rally from here. The math behind Spotify stock isn’t all that complicated. The addressable market for streaming-music services is the same as the addressable market for streaming video services, which I estimate at around 750 million global households. Not all of those households need a paid-music-streaming service. After all, you can listen to just about any song for free on YouTube or SoundCloud. You just have to put up with the ads. Thus, the market of households that are willing to pay for an ad-free streaming-music service is much lower than 750 million. As a rough guess, let’s call it 400 million, or just over 50%. There will be no overlap of users among the paid-music services. Consumers don’t need both Apple Music and Spotify. It’s an “either-or” situation. But eventually, Apple Music and Spotify should control almost this entire market and squeeze out the smaller players. Thus, about 200 million subscribers for each service seems realistic in the long-run. At roughly $7.50 per subscriber per month, that equates to $18 billion of annual subscription revenues. Add in about $2 billion for advertising revenues, and Spotify could generate $20 billion of annual revenues over the long-term. Management said that the company’s gross margins could eventually hit 35%. That seems reasonable. At the same time, SPOT’s operating-spending rates should fall to about 20%. Thus, its operating margins should come in at around 15%, which on $20 billion in revenues, would result in $3 billion of operating profits. After paying taxes of 20%, Spotify’s net profits would come in at $2.4 billion. Assuming a price-earnings ratio of 20, which is roughly average for growth stocks, Spotify stock would have a $48 billion valuation. Today the valuation of SPOT stock hovers around $20 billion. If Spotify’s paid subscribers grow at an average annual rate of 15%, it should take SPOT about six years to get to 200 million paid subs. Thus, the valuation of SPOT stock can reach $48 billion within six years. If you take that valuation and discount it back by 10% per year over six years, you get a present value for Spotify stock of $27 billion. Thus, Spotify stock seems reasonably undervalued at current levels. In the middle of 2018, Spotify stock was a bubble. That bubble has since popped in dramatic fashion, and what remains is an undervalued and oversold stock that has the potential to more than double over the next several years. As a result, with sentiment towards stocks improving thanks to broader macroeconomic strength, now seems like a good time to buy SPOT stock. As of this writing, Luke Lango was long SPOT, AAPL, and NFLX. 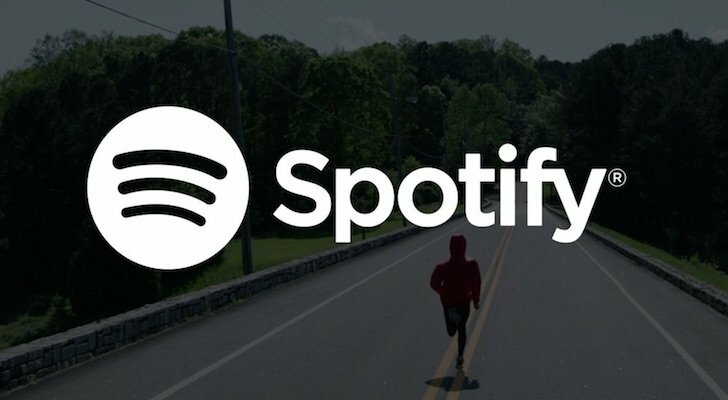 Article printed from InvestorPlace Media, https://investorplace.com/2019/01/why-its-time-to-become-bullish-about-spotify-stock/.